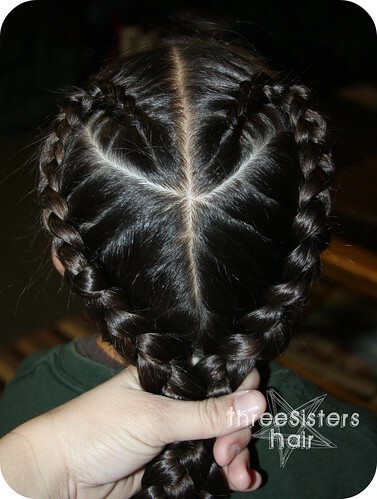 Are you ready for another adorable Heart Hairdo? Well I know this would have been nice for Valentines. Sorry. 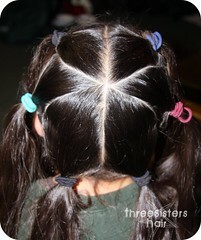 But you can still use this fun hairdo to go just about anywhere. I love it! Start by taking your first top left section of hair. 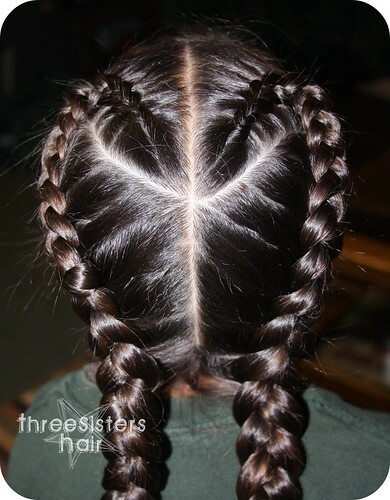 Braid from crown towards left eye. 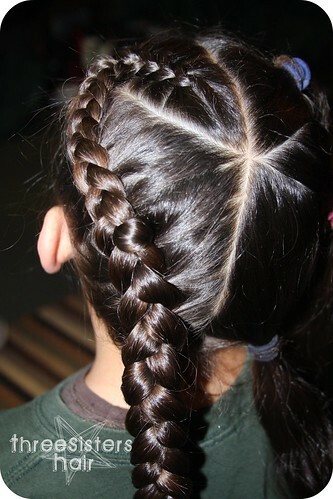 When you get to the end of your first section, remove the rubber band from the hair near the left ear and continue to braid down towards the back of the head. (see picture below) Are you starting to see your heart yet? Continue with Step Two for the right side of the head. 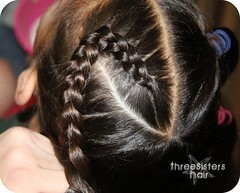 (the picture below shows you what you should have after completing the braids on both sides. 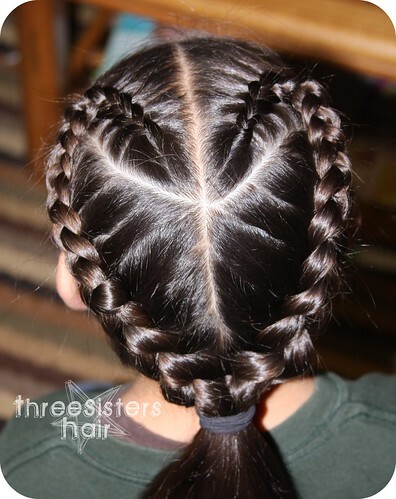 That's all there is to this "French Braid Heart" Hairdo! Now isn't that a cute style for any day ! braid the bottom pony tail into a bunch of tiny braids and either let hang loose (LOL) below or pull up into a loop under the pony. combine all three tips for a really FUN look! Very nice. 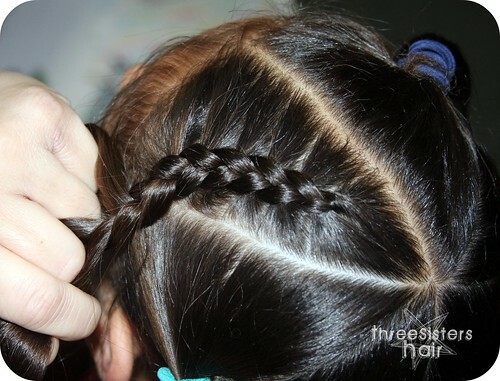 I can not get a line like that when I do my little ones hair.. I need help.. I can't even get K to hold still for a regular french braid. Such a cute hair do Tara! ~Lanie J. Visiting from My Kids Are Fun!